Thinking about leasing a new vehicle? NEVER OVERPAY AGAIN AT ANY CAR DEALERSHIP! DO YOU UNDERSTAND ALL OF THE NUMBERS ON THE LEASE CONTRACT? Can you read the lease contract and explain the exact selling price of the vehicle? Can you explain the money factor rate and how much interest you are being charged on the lease? Can you spot any hidden charges being added to your contract without your approval? Can you explain what the total capitalized cost is in relation to the selling price? If you answered “No” to any of these questions, hire me to be your personal representative. IS IT REAL? IS A SCAM? If you are getting calls from your dealership to terminate early, that means the salespeople are working to get you into the dealership at all costs to convince you that there is a “DEAL“ that you can not afford to miss! It is (SOP) Standard Operating Procedure, to call Lease Customers about 90 days before termination. Is it in the best interest of the consumer to terminate early? ABSOLUTELY NOT! The car dealership wants to pull you out early BEFORE you get a chance to put yourself back in the market for a new lease, thus maintaining you as their Customer for another 3 years. WHO PAYS THE REMAINING PAYMENTS? YOU DO! YOU PAY THE REMAINING PAYMENTS. It is automatically calculated into your new lease payment. The salesperson may tell you they are being waived BUT 95% of the time it is an OUTRIGHT LIE. The other 5% of the time the VEHICLE MANUFACTURER may offer an “EARLY BIRD” or “PULL AHEAD” PROGRAM……. HOWEVER, you will always be notified by mail from the VEHICLE MANUFACTURER……. NOT THE CAR DEALERSHIP! When you receive such a notice from the car dealership it is NOT REAL! 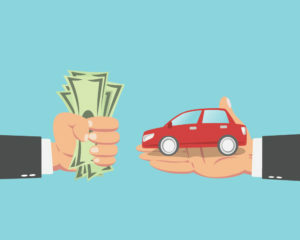 Only the VEHICLE MANUFACTURER can offer to waive your payments because it is their car! The CAR DEALERSHIP has NO AUTHORITY to waive payments on a vehicle they do not own… It is simply a “COME ON” to get you into a new vehicle and to retain you an their customer. If the mailer comes from the CAR DEALERSHIP and NOT the VEHICLE MANUFACTURER it is MEANINGLESS! It is a LIE! Terminating a car lease contract or a finance contract there is something very different going on, than may you think. What does it mean to run the numbers for you? All you are told is the monthly payment, and how much cash down. How does this benefit you the consumer? 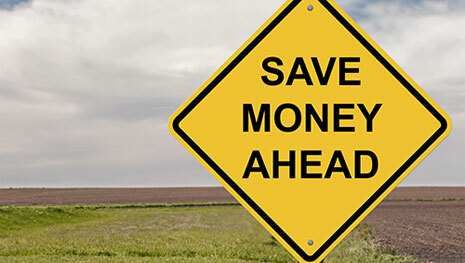 When you look at the numbers prepared by Personal Car Negotiator, you will see exactly how we save you money and how it benefits you the consumer. We offer FULL DISCLOSURE of all of the numbers BEFORE you walk into the dealership showroom. In fact, when you go to the showroom all you are doing is picking up your new vehicle!!! Stop being keep in the dark about the Interest Rate, Selling Price, Rebates and Stair-Step-Dealer-Cash Payments. These are the ONLY parameters that matter in calculating your monthly lease payment.